Marriott Executive Apartments Panama City Finisterre is a select, quiet, upscale, all-suite boutique hotel. 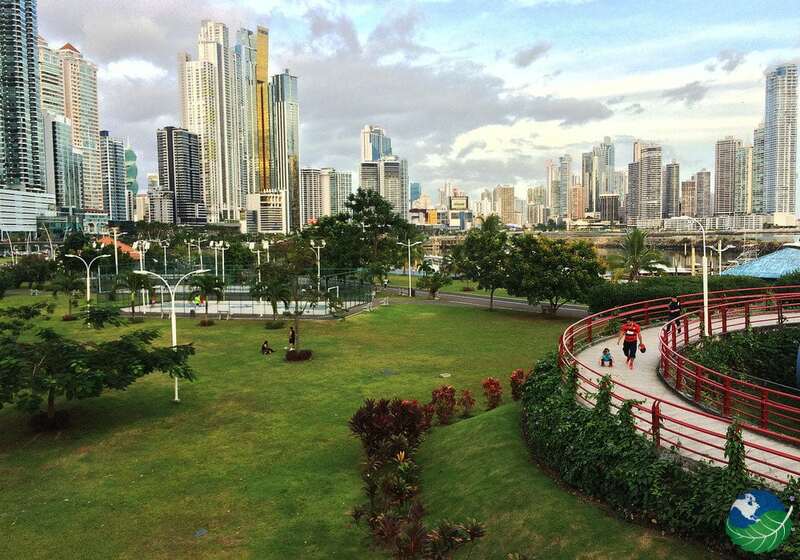 Standing 18 stories tall, its views towards Panama City, the mountains, the ocean and the Panama Canal are striking. 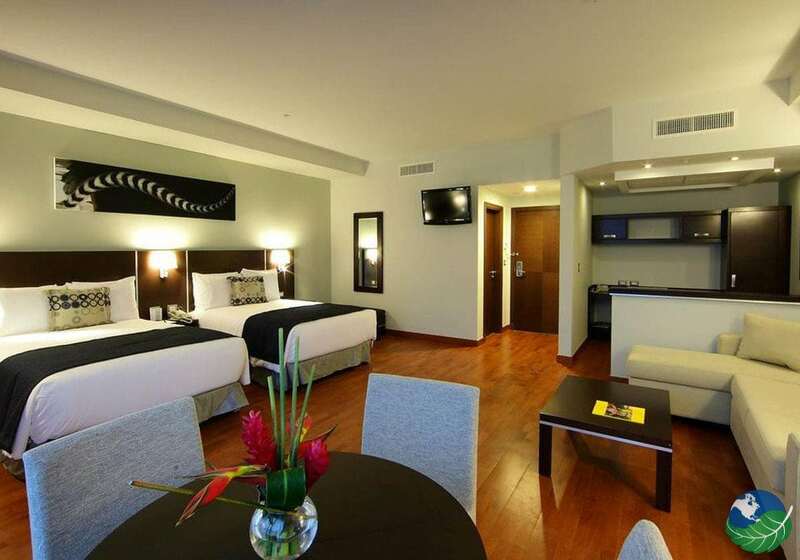 This Panama City hotel has modern and spacious non-smoking rooms that range from 600 square feet. Exactly, like the executive and loft suites, to 1,300 Sq Ft in their master suites. 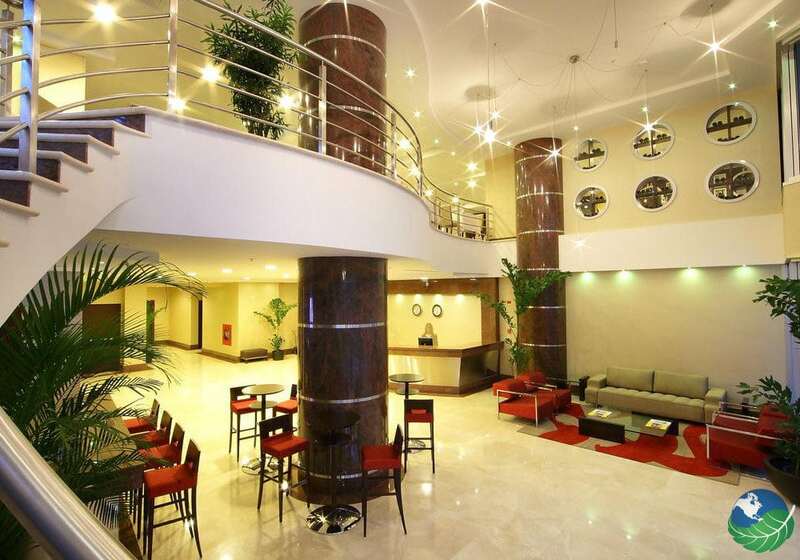 Presently, this 4-star hotel is just minutes away from international airports, shopping centers, entertainment venues and great places to eat. 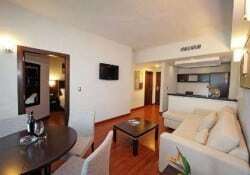 They are very big hearted at Marriott Executive Apartments Panama City Finisterre with their hotel amenities. 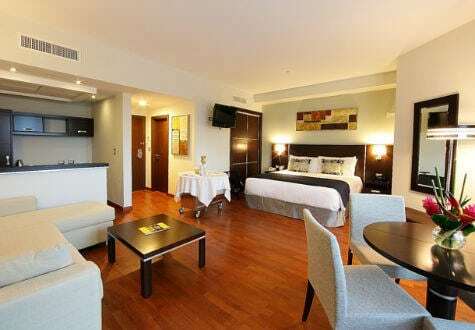 Firstly, each suite comes with large living room and bedroom flat screen TV’s, high-speed wireless Internet, AC, iPod docks, soundproof rooms, fully equipped kitchens, sofa beds, large bathrooms with bath amenities, free continental breakfast, the morning paper, dining rooms and much more. All suites here are large and handicap friendly. 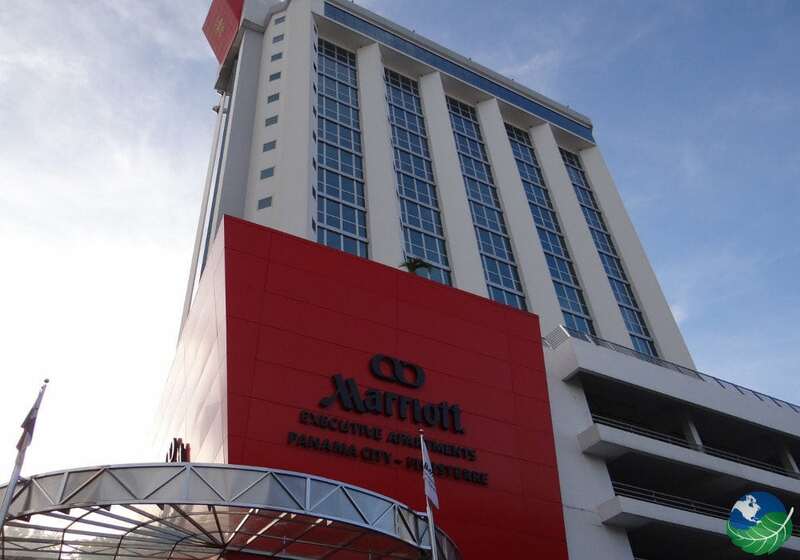 Also, the English speaking Marriott Executive Apartments Finisterre staff in Panama is very helpful and joyful; they will delight your stay here making sure you have robes, towels, and slippers, 24-hour room service; they even provide professional aid for weddings and other social affairs. The Marriott Executive Apartments Finisterre restaurant, known as Adegas, is famous for their tasty sea bass and Panama cuisine. The entire Adegas Restaurant menu is at hand with room service 24 hours a day. Adegas Restaurant also has a profuse buffet and international or local a la carte service. The Finisterre 24 hour business center has high-tech audio/video equipment and computers so patrons can be in touch with work. Their convention center can board groups of 6 or large assemblies of 250 members in seven meeting rooms. 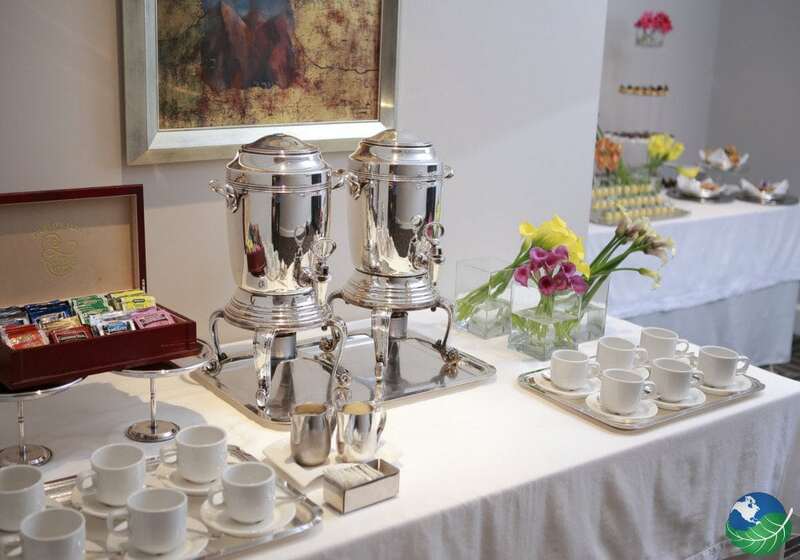 Marriott Executive Apartments Finisterre also supplies on-site catering service and Grand Ballroom staff for your special event. To unwind after a day’s work, the Marriott Executive Apartments Finisterre fitness center provides a sauna and steam room. Also, a beauty salon, and a heated outdoor pool. 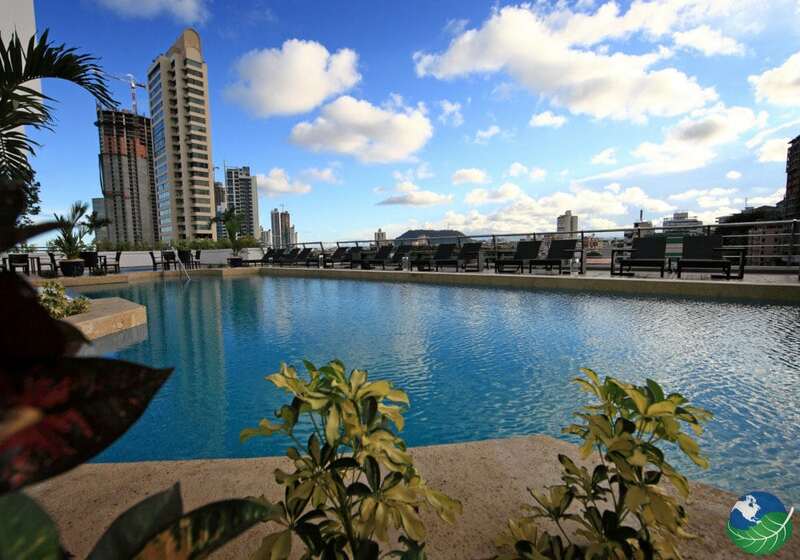 Marriott Executive Apartments Finisterre, within the busy banking center of Panama City, is walking distance to Vía España, a street dotted with shopping boutiques, bars, clubs, casinos, and restaurants. 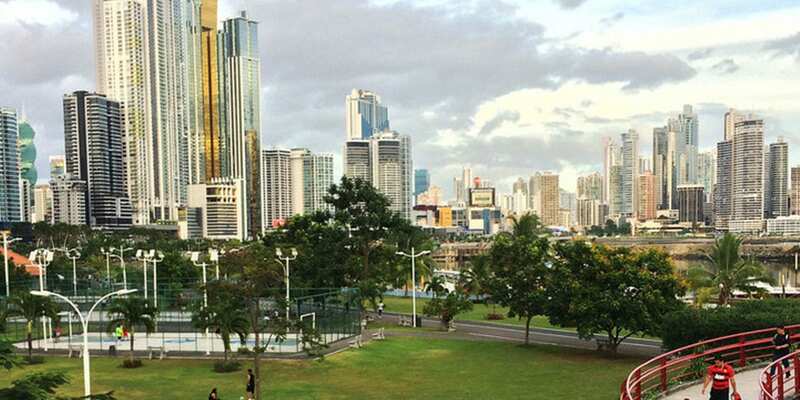 Nearby tourist sites include the Metropolitan National Park, the Bridge of the Americas, the Old Metropolitan Cathedral, and of course, the Panama Canal. 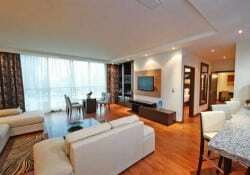 Above all, the services offered at Marriott Executive Apartments Panama City Finisterre will amaze you. It features a king or two double size beds and two sofa beds, also private bathroom and a fully equipped kitchen with dining area. It features a king size bed in the master bedroom and two twin beds in the second room. 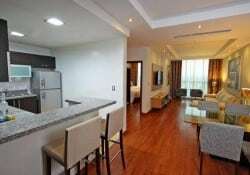 The living room is separated from the rooms and has a sofa bed, also private bathroom and a fully equipped kitchen with dining area and balcony. the master suite has two bedrooms, It features a king size bed in the master bedroom and two twin beds in the second room. The living room is separated from the rooms and has a sofa bed, two deluxe private bathrooms and a fully equipped kitchen with dining area and balcony.